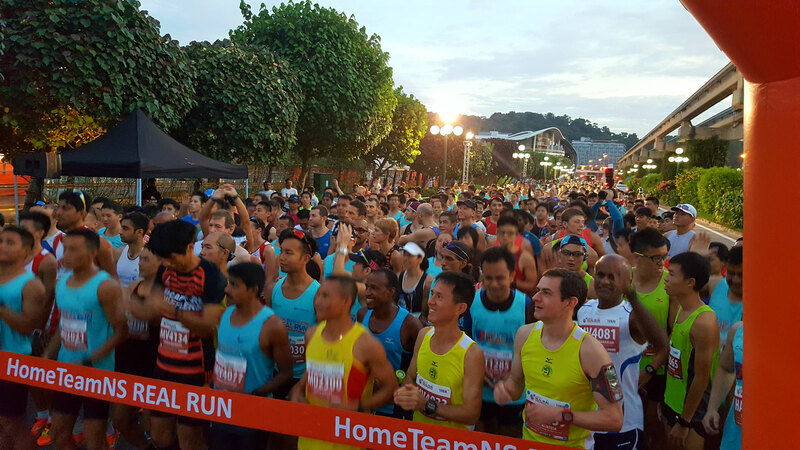 Race Review: HomeTeam NS REAL Run 2016 [10km] (by 'Ah Girl') | JustRunLah! 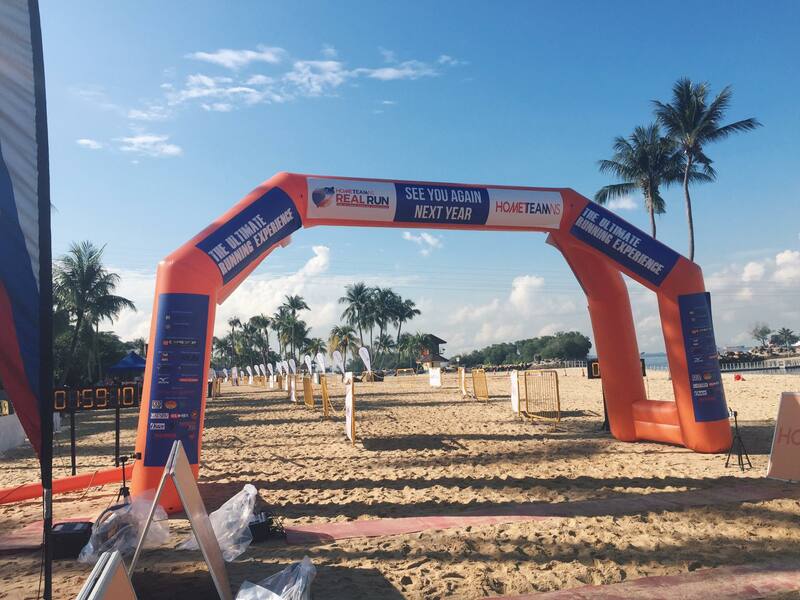 The HomeTeam NS REAL Run 2016 was flagged off at the Sentosa Gateway earlier this Sunday morning, 15 May 2016, with 3 race categories of 10km/5km multi-terrain run and a newly added Obstacles Challenge. 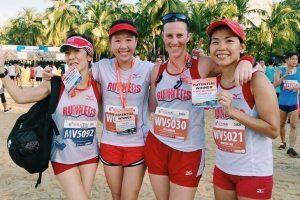 I took part in my favorite category of 10km and was looking forward to exploring Sentosa via a running route! The race emcee was extremely enthusiastic and led the race crowd into a series of short and fun warm-up exercises. 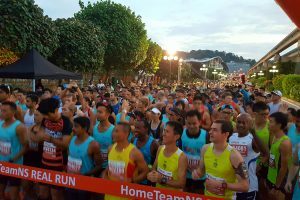 I would also like to commend him for his continuous support for all the finishers at the finishing line where I saw him cheering runners at the 2hr mark in the later part of the race. Once again, volunteers did an awesome job of cheering all runners on, handing out hydration and gave clear directions to runners throughout the race. I had no problems venturing my way around the corners and hills of the island at all! 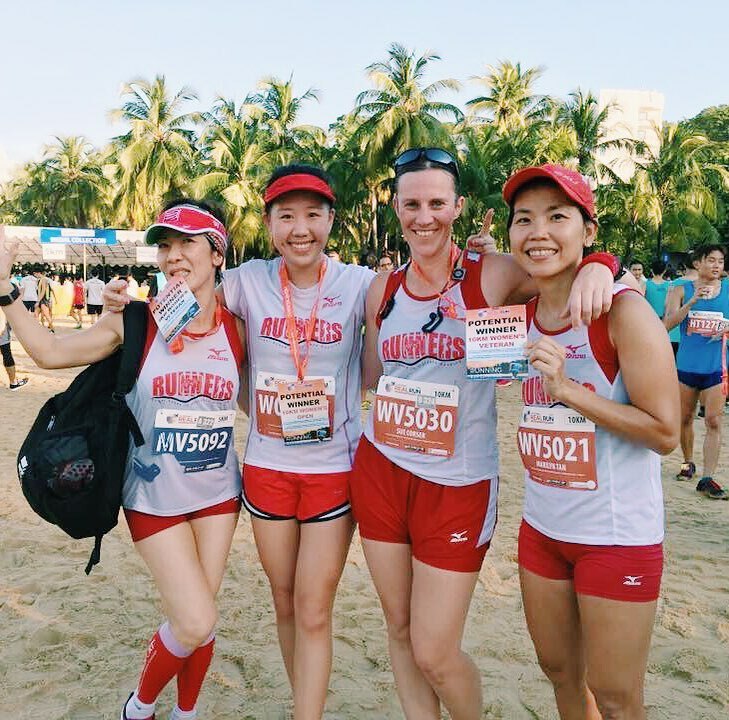 The entire race was like beach-hopping via foot; from Tanjong Beach to Palawan Beach and lastly finishing at the Siloso Beach. I was struggling to run on the loose sand on these beaches and found myself along with fellow runners laughing about our hilarious situation of having our shoes slipping into the fine sand and ended up doing many high-knee lifts movements to counter the slip. 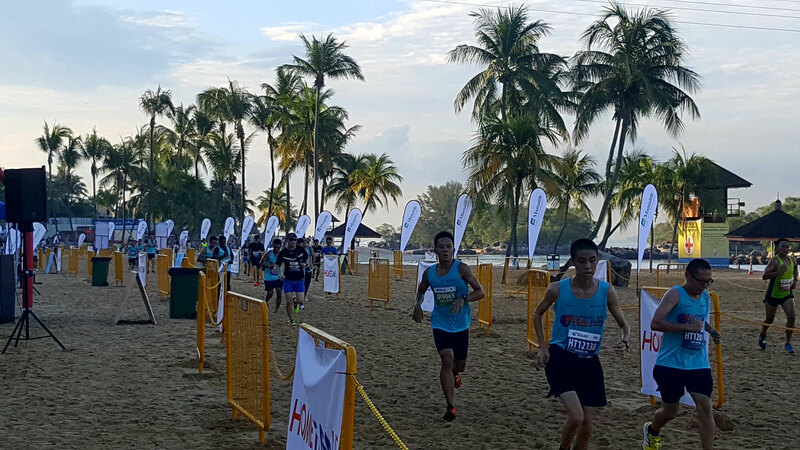 It was challenging and extremely energy-consuming, but racing across 3 fabulous beaches of Sentosa, roads and trails of greenery? That’s a first for me. In addition, most of the road and trail routes were very well-shaded and not much bottle necks were evident during my run. I would say that this race has one of the most well-planned race route thus far! 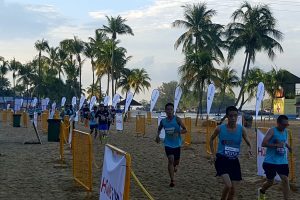 Apart from the slippery sand, I now know what people meant by the killer slopes in the roads of Sentosa – indeed, the multiple inclines took a toll on my energy and knees but the downslopes were added boosts that eventually led to the finishing beach area. I bet many runners enjoyed that changing running surfaces, elevation and environment as well! Runnning is great with friends! 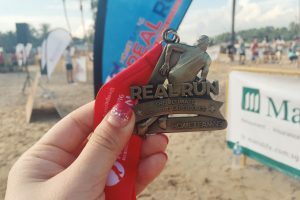 Being a first-time REAL runner, I really enjoyed the interesting race route that consisted of many up and downhills, as well as the different running surfaces that we had to conquer throughout the entire race distance. My initial fears of having to complete the tough race route were dismissed when I saw how happy everyone was. Also, I would like to take this opportunity to thank our dear SCDF NS men and SPF for protecting and securing our nation. 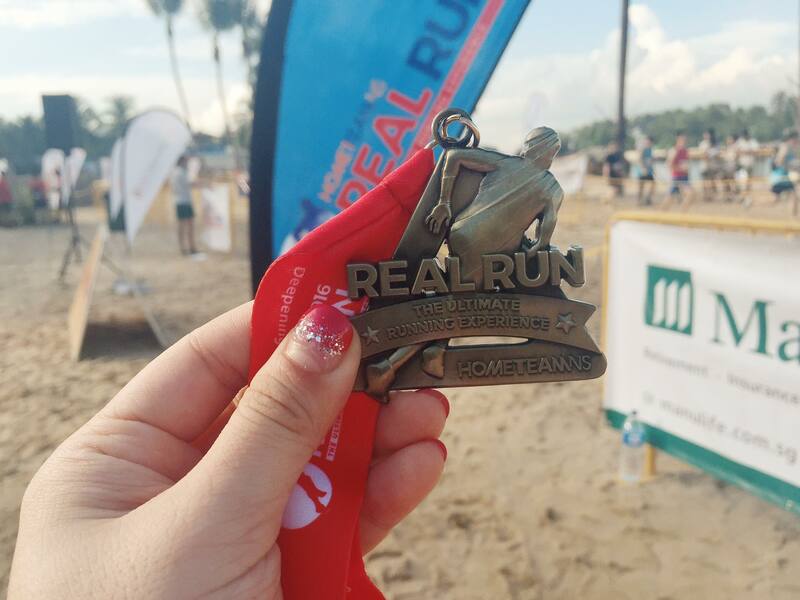 I am super looking forward to next year’s HTNS Real Run and I’m glad to say that now all of us finishers are officially REAL Runners! BIO: Ah Girl works and runs in the CBD. 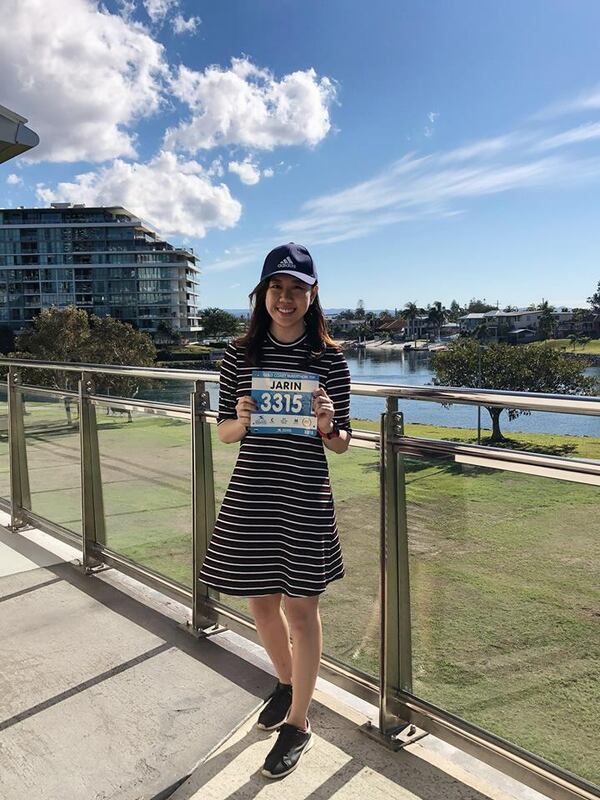 Started long distance running only in 2015 and have not looked back since. Click here for more post from Ah Girl.